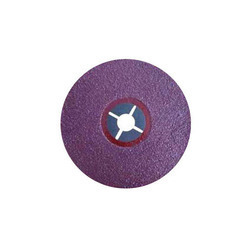 Pioneers in the industry, we offer mop wheel, flap wheels, abrasive belt, sanders discs, sanding stars and abrasives sleeves from India. We are offering Mop Wheel. Mop wheels are widely used in finishing ID, OD of pipe, vessels in SS process equipment manufacture, SS fabrication industry and auto ancillary industries for defect removal and polishing application. Our mop wheel design ensures fresh abrasive grains are always available for finishing, due to the uniformly wearing flaps. This ensures consistent finish throughout product life. A wide range of products is available to suit the specific needs of the application. 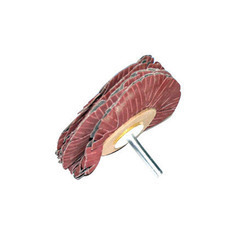 Backed with leading–edge technology and experienced professionals, we are offering an extensive range of Flap Wheels that are used for deburring, cleaning and finishing purposes. The offered wheels are designed by our skilled professionals using optimum quality raw material and cutting-edge technology in conformity with the industry quality standards. Further, these wheels are strictly tested on well-defined parameters by our quality experts ensuring their flawlessness. Clients' can avail the offered wheels from us at economical prices. To cater to the rising demand in the Indian Sub continent region, Dev Abrasive has under technical guidance , with Hermes Schleifmittel GmbH & Co. KG of Germany set up a conversion plant which manufactures all types of coated and non woven abrasive product ranges fully converted to the size and requirement of the customers. We are offering Sanders Discs. 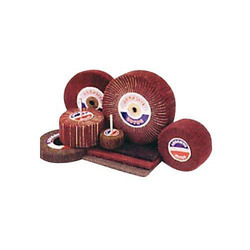 Our organization has successfully expanded its business in market owing to the offered elevated quality array of Sanders Discs, which are used for grinding purposes. The offered discs are manufactured utilizing superior quality raw-material and the latest technology. Moreover, a team of our quality controllers conducts a series of quality tests on the entire range to seek out any possible defect. Offered discs are used in automobile and engineering industries for different types of metal working purposes. In tune with industry standard, we provide the entire range in various customized options and industry leading prices. With the help of our team of adroit professionals, we are indulged in offering a wide assortment of Sanding Stars. The offered range is meticulously tested on various quality parameters and is widely demanded in various industries. Provided stars are manufactured by utilizing optimum quality raw-material and the latest technology by our experts. In line with industry standard, we provide these stars in various customized options and at affordable prices. 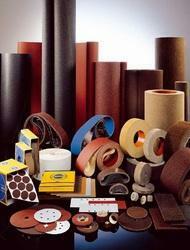 We are an acclaimed name engaged in offering our precious clients a superior quality range of Abrasives Sleeves. Offered sleeves are manufactured using optimum grade raw-material and sophisticated technology in synchronization with industry standards. In order to ensure quality, the entire range is rigorously tested on various parameters by our quality controllers. Keeping in mind the diverse requirements of our clients, we provide these sleeves in various sizes and specifications. 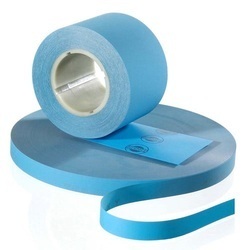 By keeping track with the market development, we are offering optimum quality Non-Woven Abrasives, which are available in various forms like belts, pads, rolls, and wheels. Our offered abrasives are widely appreciated by our prestigious clients for their precise design and durability. 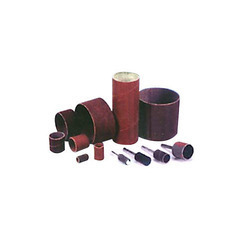 These abrasives can also be availed in various sizes, designs, and other related specifications. 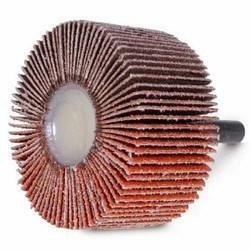 Our provided abrasives are manufactured by a team of our adept professionals utilizing quality approved nylon Fibers and advanced technology. 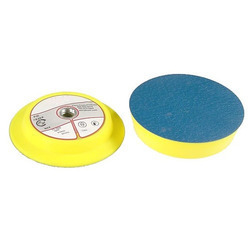 Offered abrasives are used for deburring, edge work and efficient balancing of metals. Other details: Free samples provided. Sizes Available 5"/ 6"/ 7 "
We are offering Lapping Film. We are offering Floor Pads. 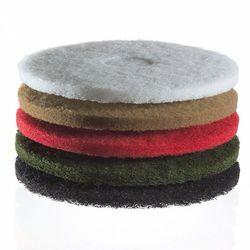 Non Woven Floor Pads are available in standard dimensions.Floor Pads have revolutionized floor care by setting industry benchmarks.